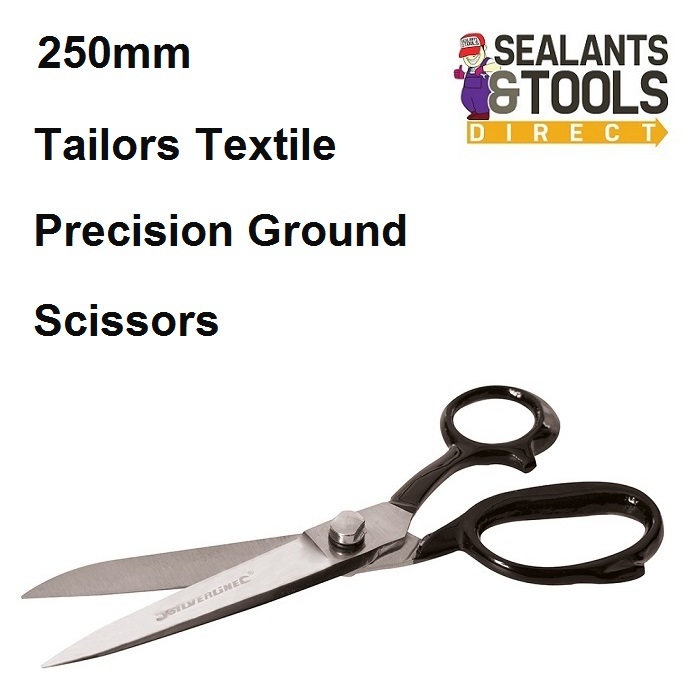 250mm Tailors Textile Scissors Precision Ground. Stainless steel with precision-ground blades. Centre adjustment screw for tightening or taking apart blades for precision sharpening. Mirror finish helps the scissors glide through. 150mm Blades for ease of access.